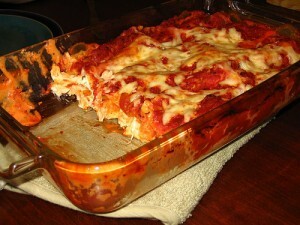 Chicken Lasagna recipe by Mahirah Ali at DesiRecipes.com. One packet of lasagna boiled in salty water n cooled. heat oil in a pan, golden brown onions, then add chicken to it cook for 2 to 3 minutes then add garlic powder and salt then cook for 2 minutes then add red chilli powder, black pepper and tomato sauce. Cook for two moew mintes and the chicken sauce is ready. Now place it aside. heat margarine then maida and turn off the heat. Then add cornflour and milk, thicken it and cool it. After cooling it add cream. And the white sauce is ready! What they call "White Sauce" I think must be the Bechamel sauce. And its recipe is: 1 litre milk, 100 gr white flour, 100 gr butter. where is the amount of maida and corn flour?